Livy (1905), Roberts, Canon; et al. (eds. ), The History of Rome, Vol. I, Everyman's Library, London: J.M. Dent & Sons . 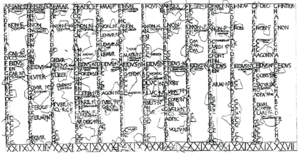 Ovid (2004), Kline, Anthony S. (ed. 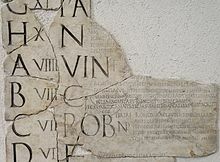 ), On the Roman Calendar, Poetry in Translation . Plutarch (1914), "The Life of Numa", in Perrin, Bernadotte (ed. ), The Parallel Lives, Vol. I, Loeb Classical Library, Cambridge: Harvard University Press . Rüpke, Jörg (2011), Richardson, D.M.B. (ed. 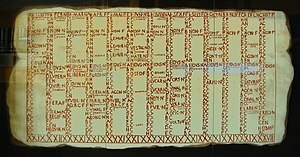 ), The Roman Calendar from Numa to Constantine: Time, History, and the Fasti, Wiley, ISBN 978-0-470-65508-5 .